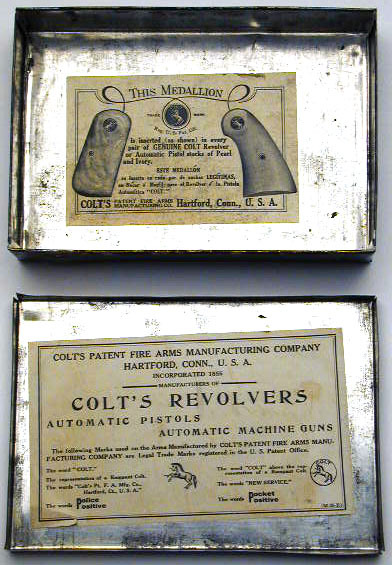 Tin Shipping Box - In 1915, Colt's used a tin two piece shipping box for some overseas (Belgian Contract Pistols) and domestic shipments. 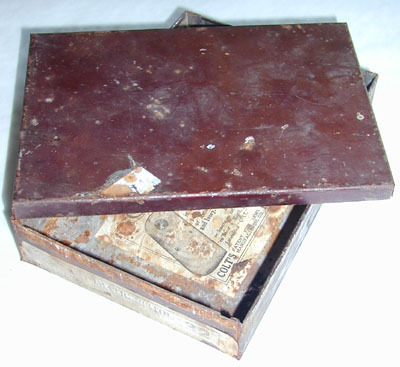 The boxes were painted maroon (to resemble the standard cardboard hinged shipping box) and contained the standard labels of the day. 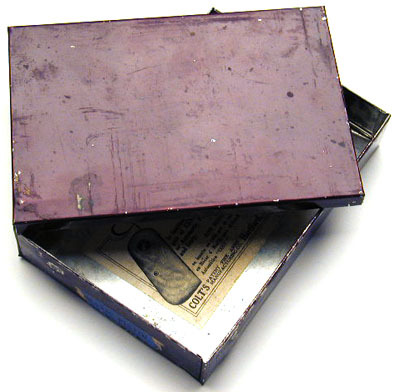 The end label had an additional piece of paper that wrapped under the bottom of the box so that the serial number could be hand written in the standard location. 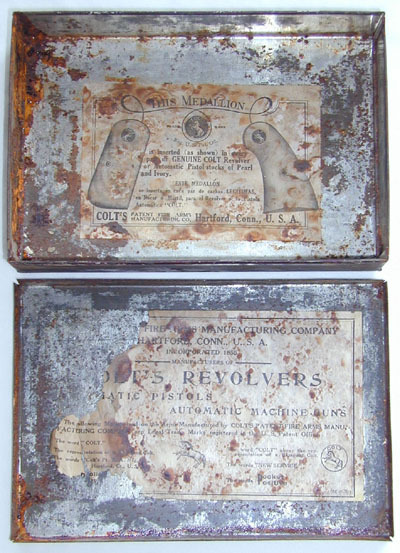 Inside view of labels in the lid and base of the two piece tin box. Base at the top of the photo. 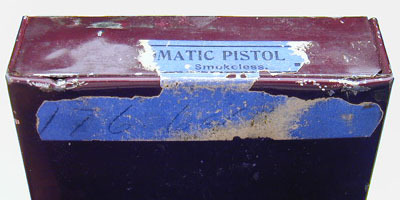 End label is standard early Colt variation, with the exception that the end label wraps under the end of the box, to allow for the serial number to be written on the bottom of the box.